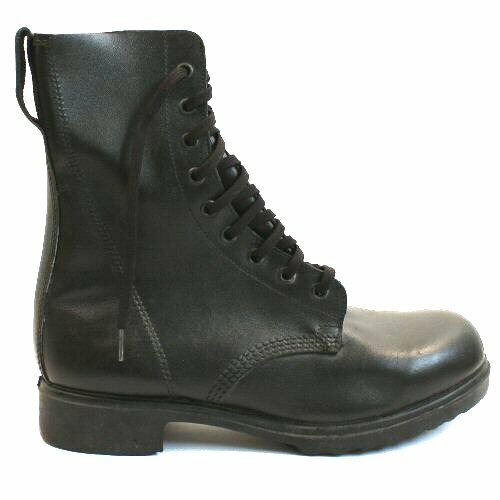 Unissued full leather British army assault boots in black, with directly moulded sole. 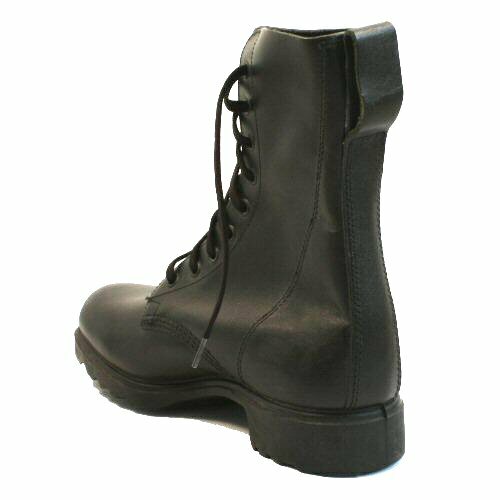 The boots have an all leather upper and leg made in black coated leather. Heel is reinforced and internal seam is covered. A finger loop (not always present) on the rear helps with pulling the boots on. Some models provided with removable insoles. The tread pattern may differ by incorporating the assault style tread rather than the chevron tread. Can be polished to high polish. 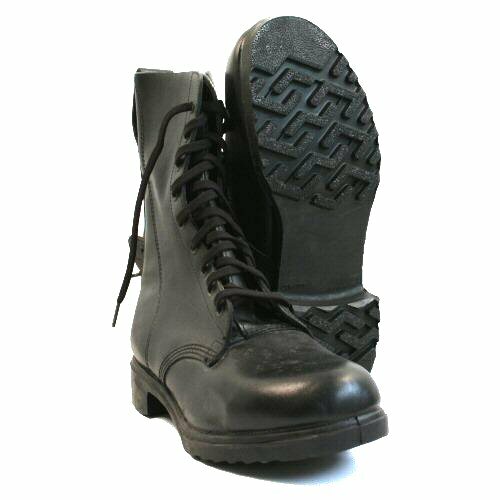 These directly moulded sole boots have a higher leg, dispensing with the need for puttees. Deep groove sole for better grip. Classic cut and form is ideal for cadet and parade use due to the lack of extra panels that may not be approved in some units. Available options are: 8 , 9 , 10 . Rear angled view of boot with finger loop. Some boots may not have the finger loop.